Canada's Forests at a Crossroads: An Assessment in the Year 2000. 2000. Global Forest Watch. (World Resources Institute). Global Forest Watch Canada assesses the scale and magnitude of logging, mining, and other development activities within Canada's forests. Diversity of Life. 1993. E.O. Wilson. (W.W. Norton & Company). Examines humans' relationship to the natural world and the threats to the planet's richness of species. The Earth System. 1999. Lee R. Kump, James F. Kasting, Robert G. Crane. (Prentice Hall). Introduces the concepts needed to begin studying the discipline of Earth system science, particularly the carbon cycle. Ecosystems: Balancing Science With Management. 1997. Kristiina A. Vogt (editor). (Springer-Verlag). Explores the relationship between biodiversity and ecosystem functions, and the conflicts between managing for biodiversity and managing ecosystems. The Forgiving Air: Understanding Environmental Change. 1998. Richard C.J. Somerville. (University of California Press). Helps the nonscientist understand the science that underlies global-change issues and drives political decision-making on the environment. Ghost Bears: Exploring the Biodiversity Crisis. 1992. R. E. Grumbine, Michael Soule. (Island Press). Uses the fate of the endangered grizzly bear to explore the causes and effects of species loss and habitat destruction and introduce readers to the biodiversity crisis. 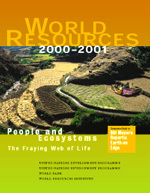 Global Environmental Outlook 2000. 2000. United Nations Environment Programme. (Earthscan Publications Ltd.). A snapshot of the global environment from a an ongoing worldwide environmental assessment process, plus regional views and perspectives. Human Development Report 2000. 2000. United Nations Development Programme. (UNDP). Looks at human rights as an intrinsic part of development. Shows how human rights bring principles of accountability and social equity to the process of human development. The Human Impact on the Natural Environment 5th Edition. 2000. Andrew Goudie. (MIT Press). Addresses the ways in which human activity has changed the face the earth by examining the human role in natural processes and systems. Last Oasis: Facing Water Scarcity. Sandra Postel. 1997 (W.W. Norton & Company). Examines the worldwide limits  ecological, economic, and political  of water, and existing water conservation methods that could decrease the likelihood of scarcity and conflict. Life Stories. 2000. Heather Newbold (University of California Press). World-renowned scientists reflect on their lives and the future of life on earth. The Living Ocean: Understanding and Protecting Marine Biodiversity, 2nd Edition. 1999. BoyceThorne-Miller. (Island Press). An essential primer on marine biodiversity and how it can be protected. Nature's Services: Societal Dependence on Natural Ecosystems. 1997. G. Daily (ed). (Island Press). A collection of essays by scientists that provides an overview of the many benefits and services that nature offers to people and the extent to which we are all dependent on those services. The Next American Metropolis: Ecology, Community, and the American Dream. 1993. Peter Calthorpe. (Princeton Architectural Press). Explains why and how we must move the United States away from sprawl and toward more economically diverse and ecologically sound communities. Our Common Future: The World Commission on Environment and Development. 1987. (Oxford U. Press). A pioneering view of sustainable development. Something New Under the Sun: An Environmental History of the Twentieth-Century World. 2000. John Robert McNeill. (W.W. Norton & Company). Reports on the extensive damage wrought by industrialized and developing nations of the world. The Work of Nature: How the Diversity of Life Sustains Us. 1997. Yvonne Baskin. (Island Press). Explains the practical consequences of declining biodiversity on ecosystem health and functioning. Tie Hackers to Timber Harvesters: The History of Logging in British Columbia's Interior. 1998. Ken Drushka. (BPR Publishers). A complete history of logging in British Columbia's interior. From mammoth trees being cut by hand and hauled on giant horse-drawn sleighs to today, when trees are cut de-limbed and cut to size in seconds with computerized machines. World Development Indicators 2000. World Bank. (The World Bank). An invaluable source for those who analyze business opportunities in developing countries and emerging markets or sustainable development. World Resources Series. 1996-97, 1998-99 and 2000-2001. United Nations Development Programme, United Nations Environment Programme, World Bank, World Resources Institute. (1996 and 1998 editions: Oxford U. Press, 2000 edition: WRI). Three volumes that examine the earth's resources through various lenses. The 1996 edition focuses on urban environmental issues, the 1998 volume looks at environmental health and human health, and the 2000 edition assesses the health of global ecosystems and their capacity to meet human needs in the future. Consuming Desires: Consumption, Culture, and the Pursuit of Happiness. 1999. Roger Rosenblatt (ed). (Sheerwater Books). This collection of essays by an all-star roster of social critics explores the adage "you are what you consume." It points out that while Americans blithely consume, we contaminate the environment, threaten the world ecology, and encourage other, lesser developed nations to follow our path. Earth's Insights: A Survey of Ecological Ethics from the Mediterranean Basin to the Australian Outback. 1994. J. Baird Callicott and Tom Hayden. (Univ. California Press). Surveys the ecological ethics of many cultures, which are now overwhelmed by western culture. Environmental Values in American Culture. 1996. Willett Kempton, James S. Boster, Jennifer Hartley. (MIT Press). An anthropological study of how Americans view global warming and other environmental issues, drawing on interviews and surveys of the general public as well as members of society ranging from Earth First! to laid-off Oregon sawmill workers. For the Common Good: Redirecting the Economy Toward Community, the Environment, and a Sustainable Future. 1994. Herman E. Daly, John B. Cobb Jr. (Beacon Press). Proposes that economic growth  the prevailing yardstick for measuring economic success  is no longer an appropriate goal as energy consumption, overpopulation, and pollution increase. Green Inc.: A Guide to Business and the Environment. 1995. F. Cairncross. (Island Press). An analysis of the complex relationship between government, business, and the environment. More Fun, Less Stuff: Starter Kit. 2000. Betsy Taylor. (Center for a New American Dream). A fun, hands-on book to help individuals or families reduce consumption in simple ways. Reshaping the Built Environment: Ecology, Ethics, and Economics. 1999. C. Kibert (ed). (Island Press). Practitioners consider how buildings and construction can coexist with the natural environment. The Sacred Balance: Rediscovering Our Place in Nature. 1999. David Suzuki. (Greystone Books). Through a combination of traditional scientific information, anecdotes, and views from various cultural perspectives, this book explores how we can create a way of life that is sustainable, fulfilling, and just. This Sacred Earth: Religion, Nature, Environment. 1995. Roger Gottlieb. (Routledge). 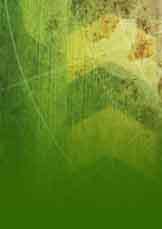 An introduction to the theory and practice of religious environmentalism that includes writings from sacred texts and a broad spectrum of new eco-theological and multi-cultural selections. Valuing the Earth: Economics, Ecology, Ethics. 1993. Herman E. Daly, Kenneth N. Townsend (ed). (MIT Press). A collection of essays by some of the most influential thinkers in the discipline of environmental economics. Cadillac Desert: The American West and Its Disappearing Water. 1993. Mark Reisner. (Penguin USA). The definitive history of water resources in the American West, and an illuminating look into the political economy of limited resources anywhere. Encounters with the Archdruid. 1990. John McPhee. (Noonday Press). McPhee offers a unique perspective on the clash between hard-core environmentalism and the forces of development. The Lorax. 1971. Dr. Seuss. (Random House). The Lorax is an ecological warning from the 1970s that still rings true today. A Sand County Almanac. 1949. Aldo Leopold. (Ballantine Books). Leopold's land ethic holds that nothing that disturbs the balance of nature is right, and that it is a human duty to preserve as much wild land as possible as a kind of "bank" for the biological future of all species. Silent Spring. 1962. Rachel Carson. (Houghton Mifflin Co.). Offered the first shattering look at widespread ecological degradation, with a focus on the poisons from insecticides, weed killers, and other common pesticides as well as the use of sprays in agriculture  a practice that led to the introduction of chemicals in the food source.